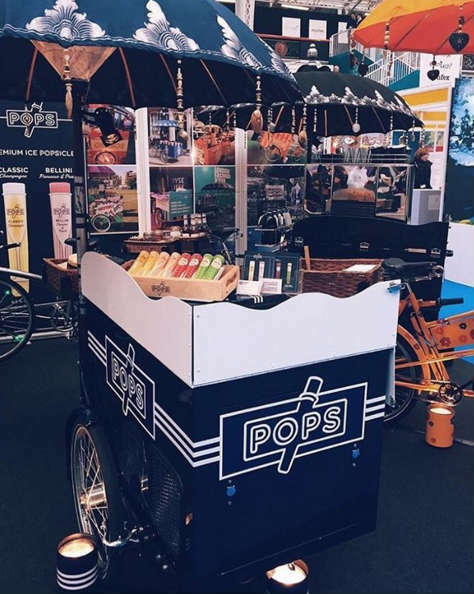 The Popsicle Tricycle serves a full range of the best boozy popsicles which contain all natural ingredients, are low in calories, are dairy & gluten free and, are made in Britain. 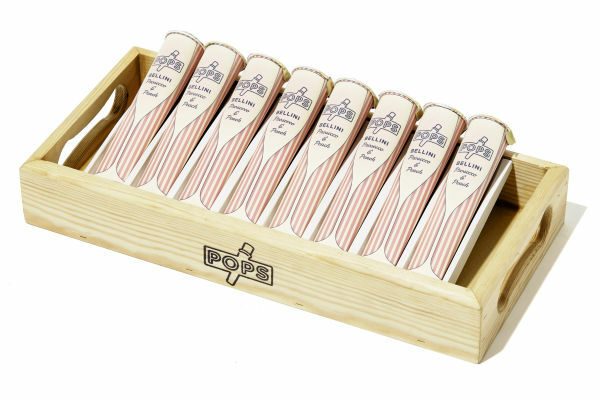 Moreover, the popsicles are made by ice pop extraordinaires POPS who have won great praise from Marie Claire, GQ, Tatler to name but a few! 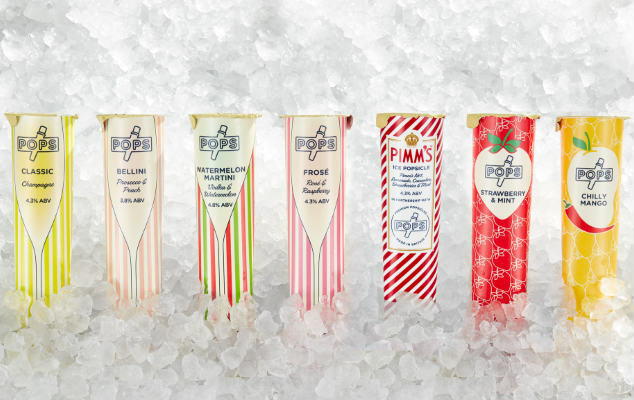 Alcoholic popsicles include Bellini (Prosecco and Peach), Classic (Champagne), Frosé (Raspberry and Rosé), PIMM’s and Watermelon Martini popsicles. As a non-alcoholic alternative we offer refreshing Strawberry & Mint and Chilly Mango flavoured popsicles. The Popsicle Tricycle comes with a friendly and uniformed tricycle operator and we can also offer a popsicle usherette service, if required. 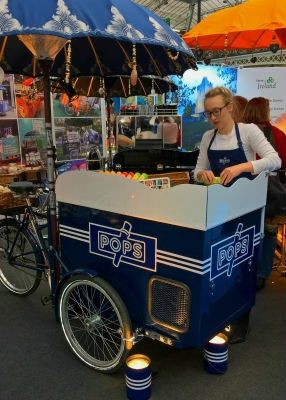 The popsicles can be served from a number of our tricycles, and for corporate clients we offer a wide variety of branding options ranging from partial to a full wrap. 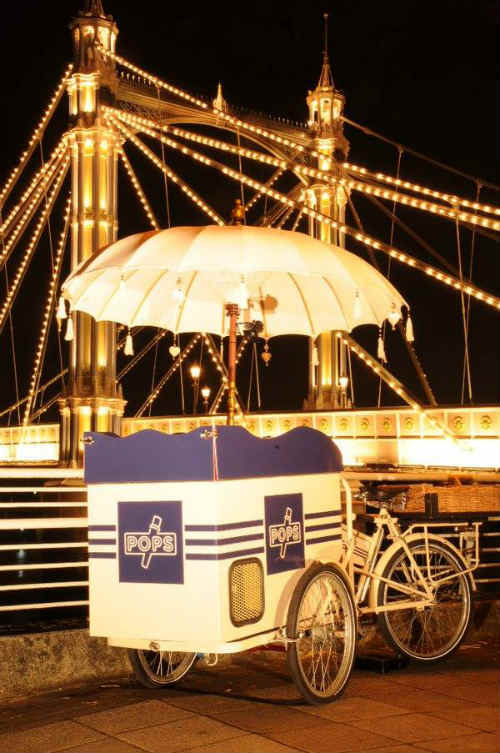 In addition we can also remove the box from the Popsicle tricycle, and place it on a plain bicycle to match your brands colour scheme. 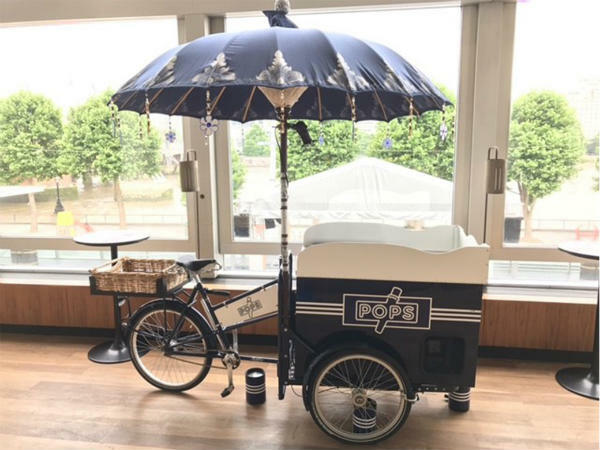 The Popsicle Tricycle is perfect for summer weddings, garden parties, corporate parties, festivals to name but a few events. Just a quick note to say a huge thank you for all of your hard work on Saturday. The event was a huge success and all of the children and adults seemed to have a ball. Well done!